Nice find David. I like the way the greens/weeds are popping through the cracks. Fantastic shot paired with a great quote! I especially like the details and textures. I will confess Martina, you are actually the inspiration behind the quote! I love your work and love how you always pair a quote with the image…simply beautiful! I really love this image. The texture ald color are fantastic and it so wonderfully illustrates the quote. How impressive. and great comparing. Thank you very much, hope all is well with you. Great shot David! I love images of decay/rust/etc., you just get such amazing textures and colors out of what should be a depressing subject! Love the green, and all the texture! Awww, thanx Morgan! Next time you are in our neck of the woods, make sure to drop us a line so we can head out to NSH and a bunch of other cool places! Wow! That’s totally cool! 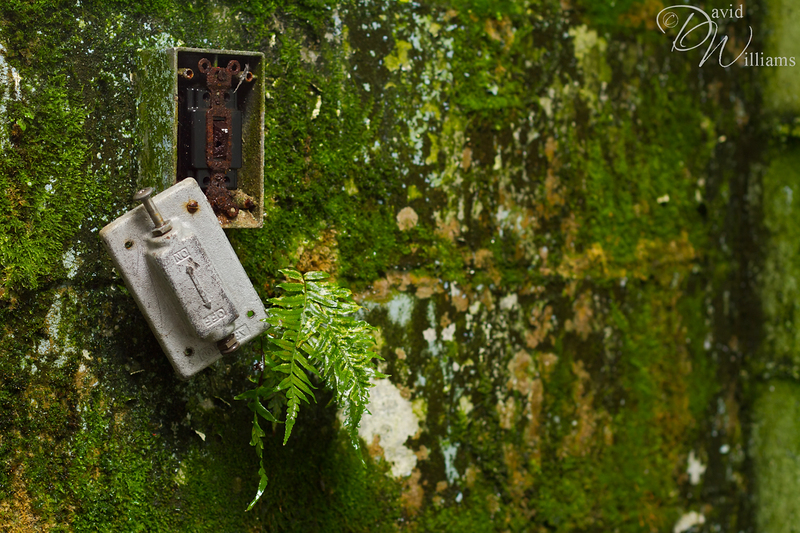 I love the green, the short DOF, the placement of the switch. Very nice.